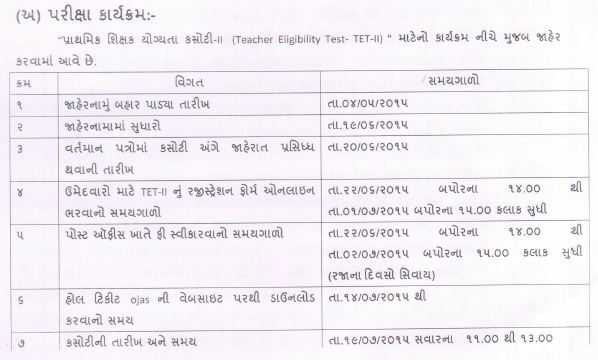 SEB Gujarat TET 2 Exam 2015 : State Examination Board has published TET II Notification at www.gujarat-education.gov.in. The Official Advertisement will be published on 20-06-2015 in News Paper. More Details like Online Application Date, Exam Date and Hall Ticket are given below.